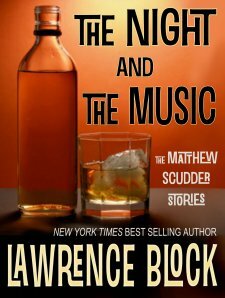 I thought I had read all Lawrence Block's Matthew Scudder short stories, but I had missed one or two, and of course One Last Night At Grogan's was brand new. It was a joy to be drawn into Scudder's world again. It's one of those things you know is going to happen but is impossible to pinpoint the exact moment it occurs. One moment I was reading words and thinking about writing style and point of view and the next I was in the story, sharing Matthew Scudder's thoughts, alive in his world. 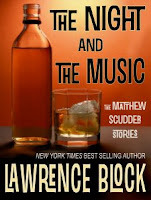 It was a thrill to read this collection of Scudder stories; this is Lawrence Block at his best. Here's hoping he never stops writing. 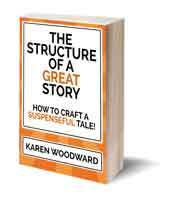 One more thing, at the end of THE NIGHT AND THE MUSIC, is a section titled, 'About These Stories,' in which Lawrence Block writes a bit about each of the stories in the volume. For me, this was one of the best parts of the book since I love reading writers discuss their writing, what they were thinking, what influenced their craft, and so on. All in all, THE NIGHT AND THE MUSIC was a treat to read. Far as I’m concerned, it’s not a real book unless a tree dies. How do I get The Night and the Music in real book form? There’ll be print-on-demand trade paperbacks on sale at online booksellers, or through your local brick-and-mortar store, in two weeks or so. The price is $14.95. You don’t understand. I want a signed copy. No problem. 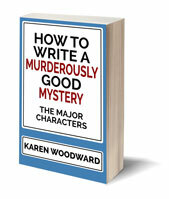 At last count, there are thirteen top mystery booksellers who will be carrying signed copies. You can drop by one of their stores, phone up, or order online. The full list is on Matthew Scudder’s Page. Or you can order from our own website operation, LB’s Bookstore. Our price is $15 plus shipping. You only ship to the U.S. I live in Canada/Scotland/Tierra del Fuego. Don’t you care about your overseas readers? How can I get a signed copy? I cherish my overseas readers, but stopped shipping out of the country because postal rigamarole makes it way too much trouble for an operation our size. The booksellers on Matthew Scudder’s Page are not thus constrained, and most if not all of them will be delighted to fill your order. And, of course, the eBook is accessible just about anywhere. International prices may vary among online retailers, so you may want to shop around, but you’ll find it. Will there be a hard cover edition? It’s possible there’ll be a hardcover trade edition as well, sometime in the future, but at this stage I’d say chances of that are fairly slim. What about an audiobook? What about foreign editions? Some of us like to read with our ears, and some of us prefer our native tongue. What are we, gehackte Leber? I should have audiobook news soon. And my agent, the estimable Danny Baror (danny@barorint.com), will be representing the book at Frankfurt Book Fair. The Matthew Scudder books have been translated into a couple dozen languages, and I have every expectation that The Night and the Music will join them. To read LBs entire post, click here: THE NIGHT AND THE MUSIC--some FAQs.